Do you think your QuickBooks in top shape? 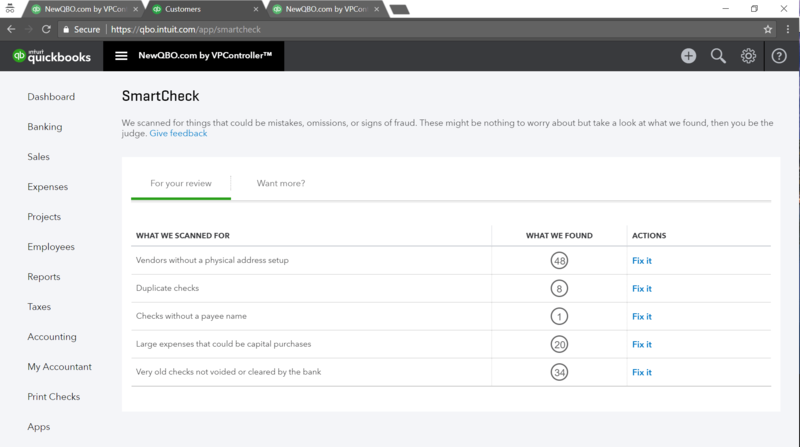 Let QBO SmartCheck scan the books and tell you what they found. Click “Fix it” under Action column and follow the instructions. Since this’s still in QuickBooks Labs, they also have “Want more?” tab and add few more items that you like to see next. This is your chance to leave your feedback. Check it out!